BELIZE CITY– A jury of five men and four women deliberated on a carnal knowledge indictment for almost five hours in the jury room of Supreme Court Justice John “Troadio” Gonzalez before returning to the courtroom with a split 7-2 guilty verdict late this afternoon. On Friday, Justice Gonzalez will sentence Brian Charlesworth, 45, after he has heard from character witnesses in the mitigation part of the case, which began on October 21. Three witnesses had testified in the case against Charlesworth, which began on November 24, 2011, when the now 45-year-old was first arrested and charged with carnal knowledge of a child who was six years old at the time the incident occurred. Among the three witnesses who testified, the victim provided compelling evidence which was taken en camera, according to the summary of the evidence Justice Gonzalez outlined for the jury before they began deliberating the case. In summarizing the evidence of the victim, Justice Gonzalez went over portions of her testimony, reminding the jury of the actions of Gonzalez that were outlined in the child’s testimony. “The accused grabbed her hand, pulled her into a room, and took off her clothing, and in her own words, ‘he juk mi.’”, he recounted. The doctor found that the torn hymen was “consistent with carnal knowledge,” Gonzalez told the jury. Dr. Egbert Grinage did not testify in person at the trial, but his sworn statement was accepted as part of the prosecution’s evidence against Charlesworth. “The law says that you [the jury] have to exercise caution before accepting and believing that evidence,” said Gonzalez. The carnal knowledge occurred between January and October 2011. Police visited the address of the victim after receiving information about the abuse. The child’s mother and the investigating officer, WPC Alphia Jones, also testified at the trial. Charlesworth, who was defended by attorney Kathleen Lewis, testified that he was not at the scene of the crime, but was elsewhere. The prosecution’s evidence was led by Crown Counsel Kileru Awich. At the end of the trial, court police officers handcuffed the convicted Charlesworth and led him down the Supreme Court steps and across to the holding cell at the Magistrate’s Court, from where he was transported back to the Belize Central Prison, where he is serving a three-year sentence. 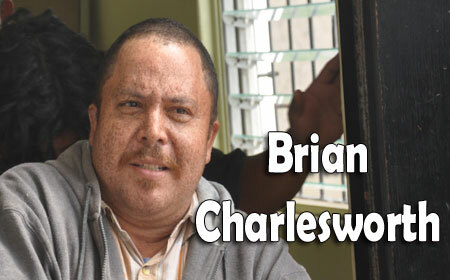 At the end of 2011, Charlesworth was arrested and charged with aggravated assault of an indecent nature. In February 2013, Chief Magistrate Ann Marie Smith found him guilty of the charge and sentenced him to three years in prison.